If you know of Lister then you know British motor racing. Not as well recognised as the names of the era such as Jackie Stewart or Stirling Moss, but Brian Lister made many beautiful racing cars, such as the ‘Knobbly’ (pictured) and a whole grid of them will be racing at MM75 – Goodwood Members’ Meeting in mid-March. 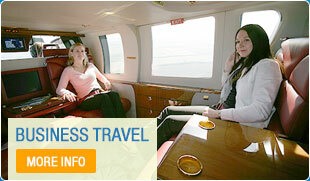 You can arrive in style to this wonderful event with a charter from Atlas Helicopters. You’ll land at the airfield around which the racing circuit snakes. You’ll be a short walk from the paddocks, pits and grandstands that will take you back to an era where legends were born. Our Operations Team can organise everything for you can book a flight using the form below which will also give you an estimate of your flight costs. The amazing thing about Lister is that after 60 years they are still making racing cars and that some of the engineers worked on the originals. Thanks to its curved bodywork Lister’s most famous model is the ‘Knobbly’, driven by Stirling Moss and Scott Brown it is everything you want from a racing machine: fast and sleek with thunderous sounds. There will be 30 Lister built cars racing, including Jaguar- and Chevrolet-engined examples and they will all be going wheel-to-wheel around the Goodwood circuit. They will be racing for the Scott Brown Trophy, named in his honour. Scott is synonymous with Lister and has a story that should be widely known. Severely handicapped due to his mother contracting German Measles during pregnancy, William Archibald ‘Archie’ Scott Brown is thought of as one of the most naturally gifted drivers of his era and he enjoyed most of his success behind the wheel of a Lister-Jaguar ‘Knobbly’. Plus some high-speed demonstrations, one of which is the 3-litre sports-prototypes, with Italian exotica from Ferrari and Alfa Romeo, wailing V12 Matras and Cosworth DFV-engined Lolas, Mirages and more. You can fly direct to the Goodwood circuit with Atlas Helicopters from anywhere in the UK, all our Operations team need to arrange is landing permission. If that is not possible they will find a suitable site and arrange chauffeured transfers. In-flight catering, including champagne, is complimentary and our flexible booking systems means you can leave when you are ready.